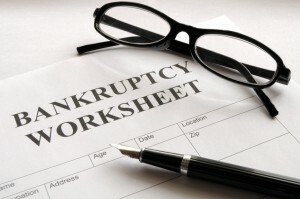 Chapter 11 Resource Links | Denver Bankruptcy Attorney - Jon B. Clarke, P.C. While these Chapter 11 resource link provide some bankruptcy info, you can receive more info from Denver bankruptcy lawyer Jon B. Clarke. The official website of the United States Bankruptcy Courts includes a wide variety of useful information about bankruptcy. This website includes a glossary on bankruptcy terminology that explains, in layman’s terms, many of the legal terms that are used in cases filed under the Bankruptcy Code. This website, maintained by the Administrative Office of the U.S. Courts on behalf of the U.S. Courts, contains the fees associated with a bankruptcy filing under a particular chapter. This website, maintained by the United States Bankruptcy Courts, includes Official Bankruptcy Forms, Procedural Forms, and the Bankruptcy Forms Manual. All forms and instructions are available in PDF format. This website contains statistics on bankruptcy filing compiled by the Administrative Office of the U.S. Courts. Through its member agencies and local offices, the National Foundation for Credit Counseling (NFCC) provides financial education and counseling. The NFCC’s website includes numerous educational resources including credit facts, budget calculators, and more. This website provides general information about reorganizing under Chapter 11 of the Bankruptcy Code.